S’mores Donuts ~ Homemade Donuts Loaded with Marshmallow Frosting then Drizzled with Chocolate and Topped with Crushed Graham Crackers! It’s with much sadness I write this post. It’s the bittersweet end of our terrific S’mores week. Sigh. I adore S’mores. This is a difficult day for me. Do you love them as much as me? I sure hope you got your fill of them this week! I know I did, but really I don’t know if that’s possible. There is nothing better in my mind then relaxing at the cabin, overlooking the lake and enjoying a big bon fire as the sun sets while roasting marshmallows. It just screams summer to me. I seriously look forward to this for months at the tail end of winter, which seems to drag on forever and ever. The best bon fires are early in the summer before the lovely Minnesota mosquitoes go crazy and end up being bad enough to literally carry you away or at least confine you to the house. Fall bon fires are just as good as the crisp fall air envelopes you and you snuggle around the fire trying to keep warm. It’s a bittersweet reminder that the lovely outside weather is coming to an end again. It’s also completely depressing in my opinion now that I think about it. 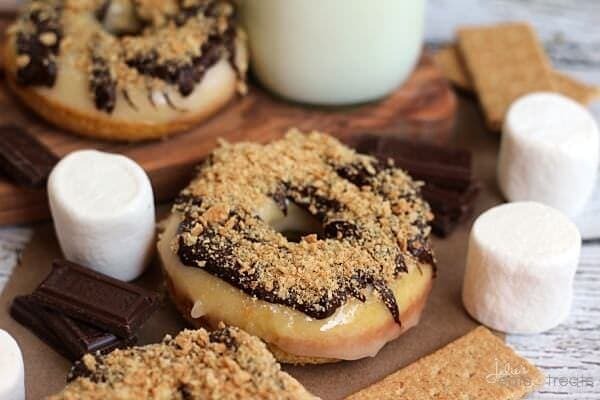 Now you have some amazing treats to get you through those bitter, long winter months when you are craving S’mores because obviously you will be dreaming of summer, bon fires, S’mores and the lake for about 9 months if you are like me and are stuck in a tundra for that long. I think this is one of the most depressing blog posts I’ve wrote. I don’t want winter. I don’t want winter. At least this winter I’ll have a brand new babe to snuggle up with in front of the winter, so if you don’t hear from me for about three months that’s going to be my excuse ok? Nah, I love ya to much I’m not going to leave you for that long no worries! And I’m also not going to think about how much work I have to do to get ahead for those sleepless nights ahead of me. Instead I’m going to think about happy, yummy thoughts in my dreams that are more than likely including S’mores. Lots and lots of S’mores. I’m obsessed. Wait I already told you that didn’t I? I hope you enjoyed this S’more week as much as me! Be sure to check out all the other fabulous, to-die for S’mores posts from these other lovely bloggers! They might get you through winter! 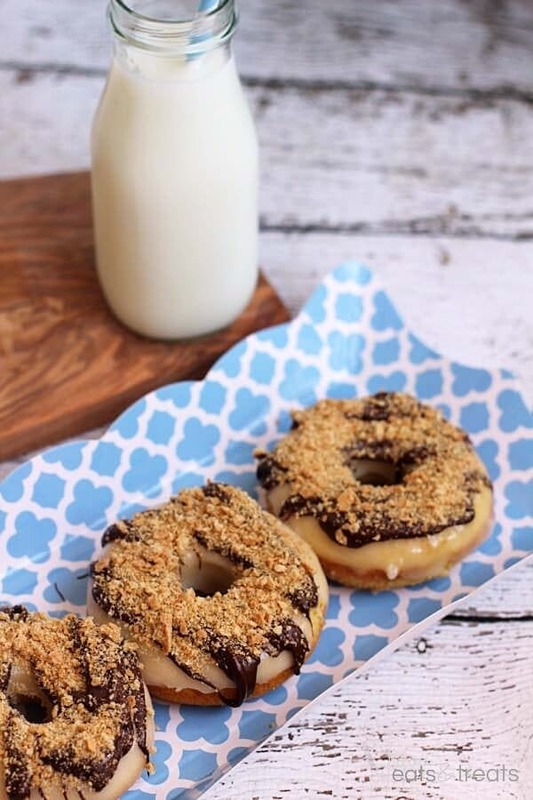 S'mores Donuts ~ Homemade Donuts Loaded with Marshmallow Frosting then Drizzled with Chocolate and Topped with Crushed Graham Crackers! 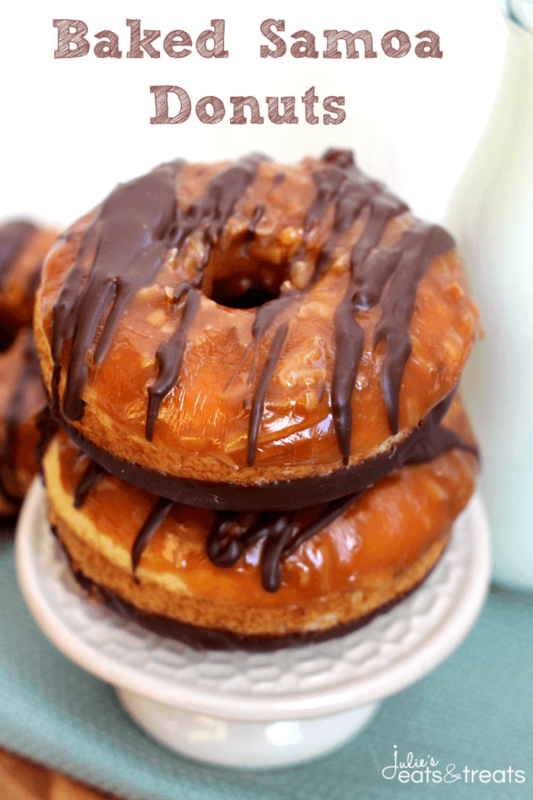 Baked Samoa Donuts ~ Buttery Donuts Dipped in Chocolate and Covered in Caramel and Coconut! 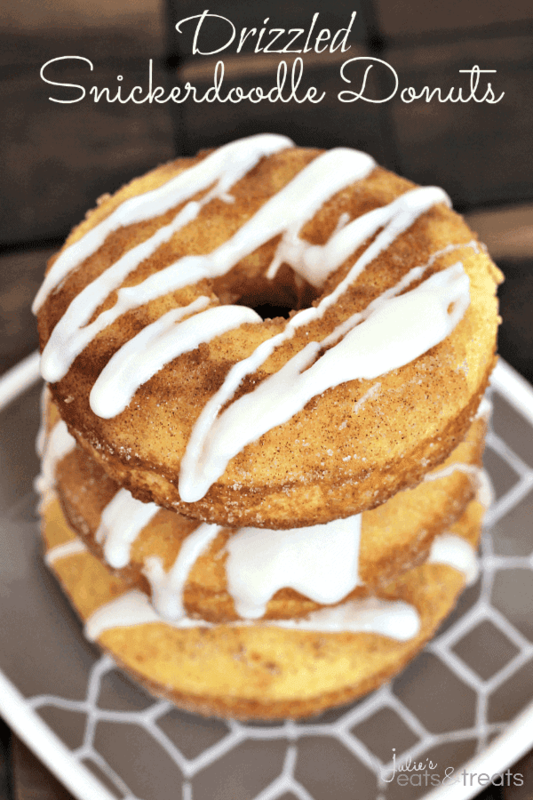 Drizzled Snickerdoodle Donuts ~ Light, Fluffy Donuts Rolled in Cinnamon Sugar and Topped with a Vanilla Drizzle! Now this is a donut, Julie! Absolutely love all the smore flavors going on here. And what a great idea to use cake mix for the batter. Pinned! Thanks Gayle! They were gone in seconds! Thanks Claire! I adore them too! Just saw these on Instagram and had to come look – they look amazing!! Thanks Annie! They were pretty fabulous! Haha… why isn’t food listed as a love language?! I think you are onto something! Yes!! I’ve been waiting for these since I saw them on Instagram! Oh my!! These doughnuts look fabulous! Love the topping!